● This tying machine is exclusively designed for bags with strings. ● Tying is a labor-intensive and time-consuming operation. The newly developed tying machine solves this	operation bottle-neck. 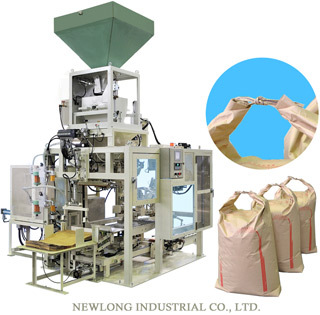 ● Bags for filling 30kg rice or wheat are clamped, opened, filled, formed and folded continuously. The bag is then tied with the string automatically. ● A series of operation timers are easily set on the graphic control panel. A diagnostic function is included. ※１Varies with the product and operating environments. 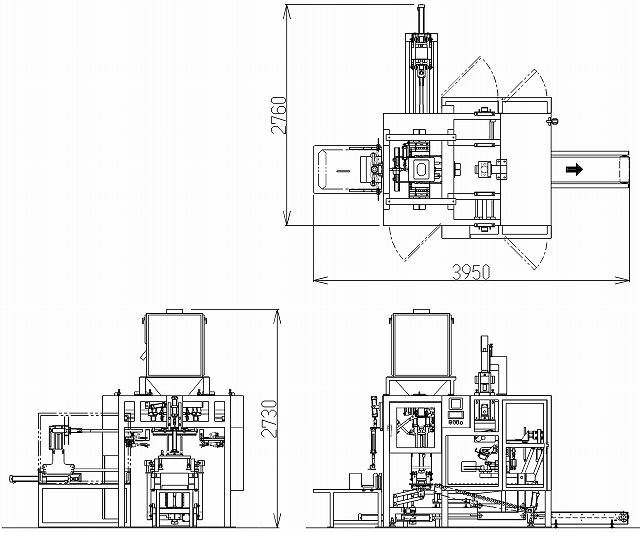 ※２Contact us for applications involving common use of different bags, use of special bags, and bag dimensions and set weights outside the above range. ●Specifications may be changed without previous notice. ●There may be differences between shown picture and specifications of each model. Copyright (C) NLI (NEWLONG INDUSTRIAL CO.,LTD.) All Rights Reserved.